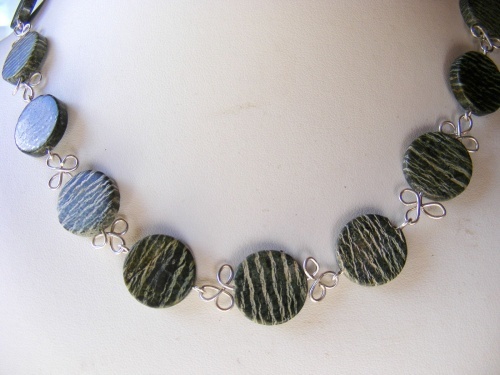 This necklace is made of zebrastone gems in coin shapped beads. A very pretty and unusual chocker style necklace. Measures 18" and comes with matching earrings.